The overall market for bathroom articles is developing inconsistently in Europe. This is the conclusion of a study by the German corporate consultants Titze. Currently, the market volume for bathroom furniture, mirror cabinets and illuminated mirrors is around EUR 3.400 bn at end user price in the nine countries Germany, Austria, Switzerland, the Netherlands, Belgium, Luxembourg, Great Britain, France and Italy. 77 per cent of the volume is attributed to bathroom furniture, 14 per cent to mirror cabinets and nine per cent to illuminated mirrors. While the German-speaking sales region is stagnating at a high level, France, the largest sales market in terms of area, is losing importance. On the other hand, positive developments were determined in Great Britain and the Netherlands in 2017. Almost 350 manufacturers share the volume of sales in Central Europe. If only bathroom furniture is taken into account, Great Britain and the Netherlands recorded the highest levels of growth. In contrast, the market is stagnating in Germany, Austria and Switzerland. The markets in France and Italy are losing significantly. Mirror cabinets and especially illuminated mirrors are currently undergoing a positive development. Titze forecasts that the distribution of bathroom furniture until 2025 will proceeding very inconsistently depending on the sales channel. While distance trading and also the project business in all countries will significantly grow according to the study, the bathroom and sanitary trade will grow only slightly in Switzerland until 2025 and will lose market shares in all other countries. 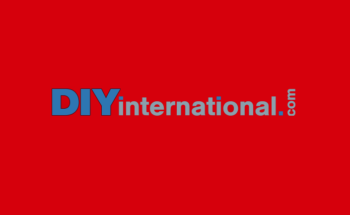 The DIY trade can score in Belgium, Great Britain, France and Italy.